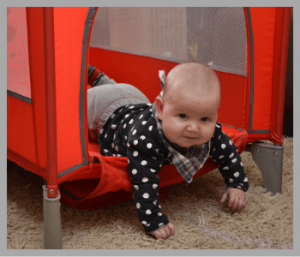 Best Pack n Play 2019 : Relax And Let Them Play in Playard! Parenting is not an easy task. When planning for a baby it becomes hard to find the right type of gear and furniture and obviously, no parents want to end up gathering garbage. Carrying baby everywhere is not possible for parents so, play yards and travel cribs are great and versatile tools that offer multiple usages. As babies are completely dependent on you, therefore, it becomes your responsibility to find a secure place for them. The best pack n play lets you do just that. Pack n plays are thus considered as a safe place to put your baby and complete your other tasks. You can consider this as the best second space for sleeping especially while travelling. Many models are designed to contain the entire baby’s essentials, bassinet, changing table and much more. The price can vary a lot but all you need is to find the one, which fulfills your needs. To lighten your burden below is a list compiled for top pack and plays. A Lotus crib is not just a normal product; it is so lightweight that you can carry it anywhere and everywhere. It takes only 15 seconds for a complete setup. Lotus crib is beautifully designed with graphics and logos. Particularly made with a soft-textured fabric with a dash of contemporary colors. As it is a portable product, which can be effortlessly set up anywhere so it becomes a super favorite of every mommy. Moreover, it can be carried as a backpack. That’s why it is the best travel crib. Therefore, you can easily carry your baby in one hand other essentials in another. Even this crib is children friendly as they have enough and secured place to play, sleep and enjoy inside. The parents can be assured of its manufacturing as it is not made with PVC material and other heavy metals. It is completely breathable to allow the full circulation of air with an unobstructed view of your little one. In addition, Lotus has got their products chemically tested and is certified with a Green Guard Gold standard. Worried about your kid getting older? With room 2 you will get all the world’s peace of mind. as parents, you need to do thousands of jobs and it is impossible to carry the baby around especially when he/she is learning to crawl or walk. With this fantastic crib, you can be assured of your baby’s security and breathe a little easier. This model has already set high standards in the pack n play field. Not only does I looks great kept in a room but also it’s extremely functional. The sturdy wide space is enough for the baby to sleep and play. The mesh windows allow a proper visibility of the child. It is built strong to occupy more than one baby and capable enough to withstand the use of growing families. Moreover, this ideal twin pack n play comes with a high-duty mattress that can support baby up to 35”. Bonanza! You can even create a nursery center to this Room 2 with a bassinet and a changing table, where bassinet has the capacity to hold two babies of 15 lbs each with a divider to separate their napping area and the changing table can withstand a baby up to 25 lbs. This fantastic piece of newborn pack ‘n play is designed to grow with your baby. The durability and longevity are the features, which makes it of a great value. You can take a sigh of relief after purchasing this as it renders years of play and rests to your child. Garco has thoughtfully added a canopy to shield your little musketeer from those irritating bright lights. Another pretty feature is the manufacturing of the pack n play with Napper with a fleece-fabric, which gives utmost comfort to your child. The signature feature of Graco, push-button fold makes it extremely easy to close the pack and play yard and take it anywhere you want. You will love its quilted mattress as it is specifically tailored keeping the comfort level of your baby. It creates a cosy environment so that your little can nap and sleep easily. Moreover, there are integrated storage shelves to store all the needful supplies of the baby. Graco has also added a changing table to change the baby’s diapers steadily. Now, babies love to get entertained therefore, there are built-in electronic modules equipped with fun melodies and sounds. 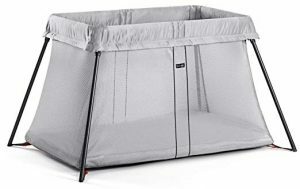 This is a basic travel crib, which is quite easy to set up and light to port on any trips and picnics. There are no loose parts and the legs are designed in a manner that can unfold them automatically and after putting the mattress in the crib, TADA! You have a stable pack n play crib set for your baby. Talking of its mattress, it is soft and cushiony rendering an utmost comfort to your little. It is built with a base plate that helps in keeping this lightweight pack n play as crib stable and allows the child to sleep securely. For an add-on security, it is made with a mesh fabric so that you can have a complete view of your baby. Don’t worry, this mesh fabric is absolutely soft and breathable allowing your baby too to have a look outside. On spending a little more you can purchase Babyjorn fitted sheets, which are made with soft and organic cotton preventing kinds of allergies. It easily gets attached with the mattress and is machine washable too. 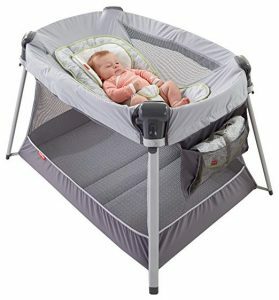 This Ultra-Lite mini pack n play by Fisher-Price is half the weight of other brands, so obviously it’s lightweight and easy to port anywhere. It is everything your baby needs for napping, playing, sleeping, and diaper changing. The supportive back seat is well-cushioned and has the three-point restraint to keep the baby comfortable and greatly inclined. To give your child the best play care all you need to do is purchase this product. It is designed to grow with your child from infant to toddler and make them learn something new at every stage. You get an inclined sleeper, changing the station and a padded play area- all in one. Moreover, it includes machine washable sleeper pads and a snug headrest. 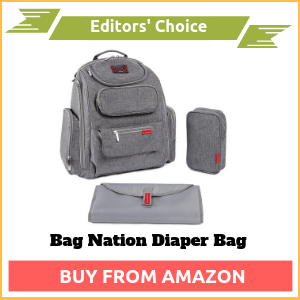 The cherry on the cake is that it is ultra-lightweight and portable, which means you can carry this pack n play sleeper anywhere and anytime at your convenience. All you need to do is put everything inside the handbag and move out with the baby. One can find Pack and plays in two variants: Basic and Deluxe. The advantage of owning this wonderful type of pack n play is that it is portable, cheap and can fit through any door. Thus, it becomes hassle-free to move this product from one room to another. Many companies often offer a handbag or a backpack to make it even more convenient to carry. Thus, if you require a cosy and safe place for your munchkin then this cheap pack n play type is the best. This beauty type costs a little more than the basic one. Now it is obvious that more value means more added features. This features in the removable changing top, equipped cabinet to hold diapers and a great bassinet. Others include electronic mobile, canopy, vibrating mattresses, music console, and nightlight. On the other hand, these are quite bulky and can prove to be tiresome from porting one room to another. Although these type of pack and play offer foldable feature if you are constantly shifting it from one room to another through a less wide door then folding and unfolding process might sweat you out. Taking care of a little baby is a tiresome job and requires your whole time and energy. You need to check constantly on your baby so that they don’t cry or fall from bed while sleeping. However, because often developments in technology, products to are advancing day by day. First cribs helped the parents a lot but now pack and play have solved every problem. With this product, one can get rid of the constant checking and fear of any harms caused to the baby. In this section, we shall many advantages or benefits offered by the pack n play. Pack and plays are usually smaller than cribs and are foldable. Due to its small size, it occupies less space in the room and even the storage space required for them is relatively low as compared to cribs, which demands a larger room for storage. Being compact and lightweight pack and plays are usually easy to take anywhere. As mentioned above, it is the best lightweight pack n play and foldable it becomes easy to carry it around anywhere. Moreover, some brands offer handbags or backpack to carry them so that you can carry other stuff and your baby more conveniently. These are secured from all the four sides and offer a high level of security. So, you can relax yourself and complete your pending tasks without worrying of the child falling or harming. They offer a secure and comfortable playground and a cosy mattress to sleep on. Cribs have been in a tradition since ages but after introducing the pack n plays in the market with the high-tech features the demand for cribs has decreased. Moreover, after looking at the price difference cribs and pack n play, parents are choosing pack n play as they are cheaper than cribs and offer a wide-ranging feature. From the word, itself one can make out the usage of the pack and play. You can pack or fold them and take them anywhere. Your tiny tot can play or sleep comfortably inside this secure nest. You can also attach a variety of entertaining and educational toys to keep them engaged. By this way, you give them a secure and educational environment, which would help them learn many things at an early age. Also, in this way you can increase their grasping power because of such exposure. A baby play yard is on the list only when you are expecting a baby. They are easy to set up, fold and even disassemble. Not only portability but they also provide a safe and secure place for your little to play and sleep. The play yards are usually built by metal tubing and mesh covering on either three or four sides that allow a full view of the child. If you travel a lot then you would require a deluxe play yard otherwise, a basic pack n play yard would do wonders. Bassinets are an excellent space to provide a nap to your newborns. Hunt out for a bassinet, which offers a secured fastening so that your older children might not hamper the safety of your infant. Also keep in mind to stop using the bassinet when the infant has reached the manufacturer’s weight limit or whether the child has started to roll, sit or pull over. If you don’t take precautions your child might land up in causing a serious injury. Always remember to never leave the child unattended when you have inserted the bassinet or even a changing table. When the child is in the moving stage, there are chances of falling from a bassinet when they are playing the yard. Therefore, to avoid such injuries either sit near the child or remove the extra attachments. These changing tables have the ability to attach on a longer top rail or even hinge on a shorter one. You can also skip the expense of pack n play with changing table and rather change the diaper on the floor. This is just a simple attachment where all you have to do is click, snap, button or strap the child while changing the diaper or even clothes. Stop using this attachment when the baby has reached the manufacturer’s weight limit. Most manufacturers these days are adding the portable and foldable feature in the play yards. Many resemble a wheelie tote or a golf bag being rolled from one place to another with an ease. This makes them ideal for the parents to carry them along their trips or visits. You can even pack them in a handbag or a backpack for more convenience. You can also look out for a bag, which allows the exposure of wheels so that you can roll them easily, even at the airport. If you are ready to spend more then you can look for storage option, which is very useful. Some models have zippered pouches or spacious shelves and even parent organizer bag. These compartments are large enough to occupy baby’s essentials and even hold parent’s supplies. Locked wheels or swivel casters makes a pack and play easy to port. Only make sure that the wheels are locked. Some models can be rolled even when folded. Some bassinets also offer a canopy to protect the baby from bright lights. You have to remove the canopy when bassinet is no longer in use. Canopies are an optional expense and thus you can avoid purchasing these. All you can do is not to place the baby play yard in direct sunlight or any harsh light. You can also experience some play yards featuring with detachable toys and even baby gyms. As a bonus, these can be used with bassinet mattress. On the floor. But obviously, all these increase the value of the product. Again, attaching toys is an optional expense, you can think of not buying them. After looking into these features, you can also have a look at these shopping tips, which might help you in buying the perfect one. Pack n play play yards is a great gift to expected mommies. Therefore, don’t buy them online try to go in a store and check by yourself. 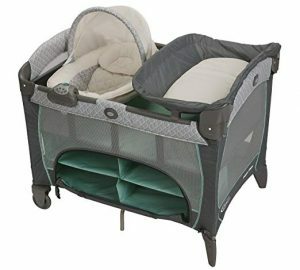 You can also see for add-on features like the storage, changing tops, toys, mattresses, and bassinet. If you are choosing a modal with attachments, make sure they have tight and secure option of fastening. Moreover, look for those attachments, which are easily attachable to railings rather than just placing on the top ad they might flip over the yard easily. Some manufacturers claim their products as portable pack n play but it is necessary to check them by yourself. If the product has wheels or swivel wheels then make sure to roll it first and then select. You can also see if the pack and play comes with a carry bag for extra convenience. Make sure that the floor pads are not more than 1 inch thick. 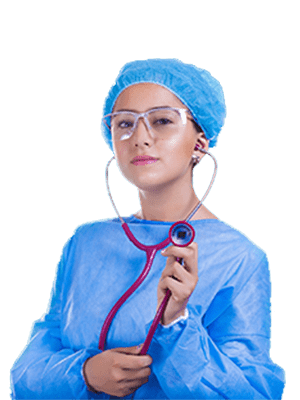 It is advisable to look that the mattresses have the option if secure fastening with a strap or a Velcro so that the baby does not live the mattress and are trapped under it. Most importantly use only those mattresses, which comes with your pack and play. A play yard might available in neutral colors or contrasts or even gender-specific ones. It is obvious that your little one is not concerned about the color of their play yard. You can decide upon. If you want a color to blend in with your décor then you can go with a neutral one. If you want, your yard to standout then bright is the right choice. Buy the yard, which has the recent manufacturing date. The certificate of JPMA certifies safety standards for different brands. Therefore, you can also ask for such certifications while buying a yard. As talk in the introduction, the set of pack and play might be tricky but following these common steps, this problem would be solved in a few seconds. Also, you can take help of the manual, which you get along the product. Mesh holes small than a quarter to one inch. Never spread extra sheets. A clean mattress and a bassinet are enough to provide the utmost comfort to your baby. But in case you plan to use one make sure it fits the mattress well and is made of fine material rather than coarse as it would cause itch to the baby. Never put two or more babies in the yard if it’s designed for only one. 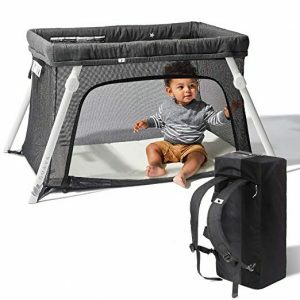 Portability: Pack and plays are known as travelling yards and hence can be ported to anywhere unlike cribs, which obviously cannot be ported to different places. 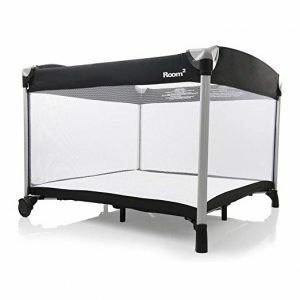 Playpen, on the other hand, are also foldable and can be carried anywhere. Space: A crib has a lot of space when compared with a baby playpen or pack and play, which offers only a restricted space for playing sleeping. Cost: A crib costs you more as you need to buy mattresses, toys, storage boxes and much more with it. However, with pack and play you get everything by paying a much lesser price. The playpen is just a rectangular yard that is deprived of various features like the pack and play. Cost: As bassinet allows only sleeping to the infants they are cheaper than the play yard whereas play yard has both the functions, so they are quite expensive. Features: A play yard offers a wide range of facilities to the parents in contrast with bassinet, which works only as a sleeping mattress. In play yards, you can attach lights, musical toys, changing top, and even a bassinet. Therefore, by just paying a little extra you get the benefits of both the worlds. Q: What is a Pack and Play? ANSWER: It is basically a play yard with a bassinet option that can be used for various stages of the child, from an infant to a toddler. It is portable and equipped with many features. Q: Why do you need pack and play? ANSWER: A pack n play is necessary for those parents who have other responsibilities and cannot constantly check their baby while working. It is a secure place to sleep and play. Q: How to clean pack n play? ANSWER: This product is home washable in lukewarm water with a bit of soap and air dry in the sun. Q: Can baby sleep in pack n play? ANSWER: Yes, it is meant for both sleeping and playing for the infant. Q: How long can baby sleep in pack n play? ANSWER: A baby of 3 months can sleep in the pack n play and after that, you can convert it into a playpen for another two years. Q: How to fold a pack n play? ANSWER: It is easy to collapse the whole thing. First, take out the mattress and pull the side clicks up so that the whole thing is folded by itself.